Premier Systems, Inc. started three decades ago. It is a primary rental company in Atlanta Metro area. We do forklift, scissor lift, boom lift and personnel lift. We have grown over the years due to great support from our buyers. We provide services to other counties like DeKalb, Fulton, Oconee, Clarke, Rockdale, Henry and Gwinnett. We are going to be able to give replacement parts and maintenance for forklifts, scissor lifts, boom lifts, personnel/man lifts and other aerial systems. We also offer safety training for airborne platform operators to make sure that the aerial systems can be safely and correctly dealt with. The journey of Premier Systems, Inc. began in 1980. David Cooper created this company in his backyard in Snellville, Georgia. Premier Systems actually began as a life brokering service, but by 1994, it was set up as among the best, the most dependable and state-of-the-art source of aerial platform rental services. Our clientele originate from various sectors like utility corporations, billboard/advertisement agencies, videographers, photographers, construction corporations, large box stores, retailers, warehouses, contractors and more. We remain nimble and versatile as we recognize our clientele originate from different background and we'll make sure you get what you have to complete the job right. If not for our loyal buyers, we won't be operating in this industry for a lot more than Three decades. Premier Systems, Inc always remained a small family business because we still have the same old values when we were created. We always treat our consumer as a guest in need and not only a number. We are going to speak with you in person, know the job that you might want and recommend you the most suitable option. We actually had the same question. When David began out as a broker, he rapidly found an Electric company was more willing to renting sixteen scissor lifts frequently than buying those outright. It turns out the liability of owning such equipment was overwhelming. Add maintenance, insurance, servicing etc. and you are thinking about a huge figure. Obviously, electric corporations are heavy users and if it makes sense for them to rent - occasional users are far better off renting when necessary than owning a piece of aerial platform. Storage, insurance and other liabilities, maintenance etc. typically make owning aerial systems cost prohibitive. This is where we come in. We're proudly serving Metro Atlanta, Conyers, Duluth, Jonesboro, Lawrenceville, Norcross, Stone Mountain, Athens, Greensboro, McDonough and surrounding locations. We're the number one providers of scissor lifts, boom lifts, industrial forklifts, personnel lifts and other lift rentals. We're the source for all of your aerial platform needs and you may also leverage our knowledge and experience in operating these systems. Premier Systems is your one-stop rental solution for all aerial systems. We're the primary rental company for forklifts with locations in Byron, Conyers and Adairsville. We're currently servicing the individuals of Atlanta, Conyers, Duluth, Jonesboro, Lawrenceville, Norcross, Stone Mountain, Athens, Greensboro, McDonough and beyond with their forklift rental needs and more. If you are renting a forklift in Metro Atlanta, it is always better to rent the best. We have the best collections of fleets of forklift rentals in Georgia. We're currently carrying top forklift brands including SkyTrak, Merlo, Genie, Heli and more. Renting a forklift can be an excellent method to benefit greatly from this machine minus the liability. You must not worry about storage, ongoing maintenance, insurance, repairing and break downs. Renting is also a method to supplement your overall fleet if your company is expanding or you need a forklift outside of your routine tasks. We have warehouse forklifts for rent with both solid and cushion tire. Our reach forklifts, also referred to as tele handlers are great for lifting up to 54 feet in tight spaces or tricky angles. We also offer electric forklifts for rent. The convenience of the battery power as well as portability can absolutely bring you more advantages. No matter what type of business you are in, if you are in need of a lift truck, give us a call and see for yourself what we've got to provide. Aside from forklift rental services in Metro Atlanta, we also provide safety training, parts and service for forklifts, maintenance for aerial systems and many more. Our clientele originate from various sectors like warehouses, construction companies, retail, freight, logistics, loading, unloading and dealing with of materials. You can claim that we can offer what you need as long as outdoor or indoor materials are involved. Our fully stocked rental department can supply the forklift you need right away for both short and long-term rentals. We also offer lift truck training for lift truck operators. We provide competitive price and you may rest assured knowing that you are acquiring the best forklift rental price from one of the oldest and most dependable names in the world of forklift rental pros. Premier Systems, Inc. is now referred to as the primary scissor lift rental company located in Metro Atlanta. Since 1980, we've got been serving Atlanta, Conyers, Duluth, Jonesboro, Lawrenceville, Norcross, Stone Mountain, Athens, Greensboro, McDonough and surrounding locations with scissor lift rental needs and beyond. 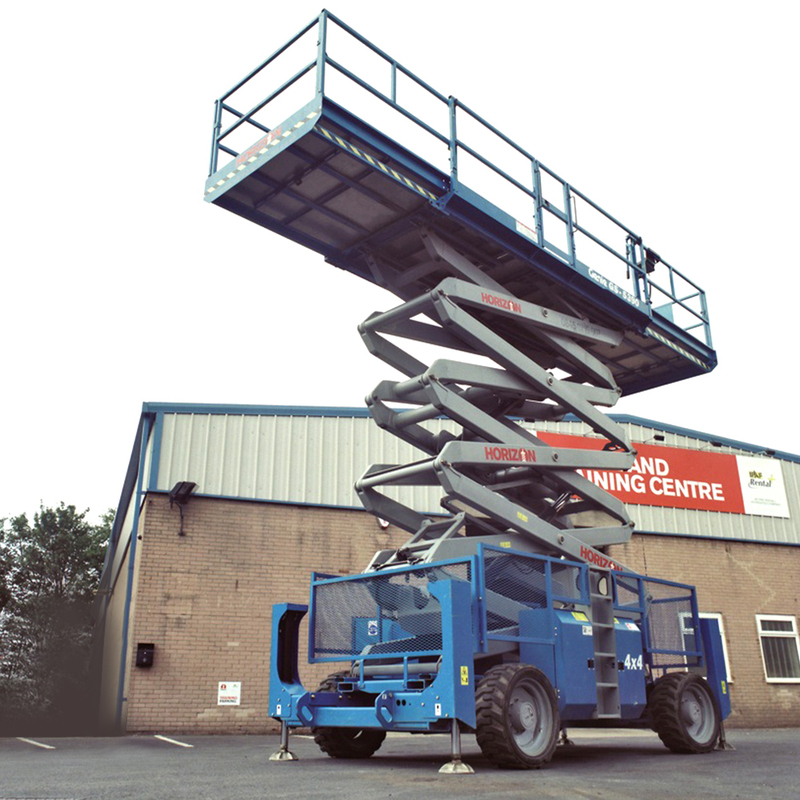 Aside from scissor lift rentals, we may also provide training, parts and service for scissor lifts, maintenance for most aerial systems and more. We have a scissor lift collection ranging from the latest models from the top scissor lift manufacturers including JLG Sectors, Genie, Skyjack and Hy-brid. Suited for lots of outdoor and indoor jobs, our scissor lifts can extend straight up to 50 feet from the base to make sure you can complete the job right. We've got rough terrain (RT) scissor lifts and electric scissor lifts for rent. With working heights reaching as far as 50 feet, electric scissor lifts are perfect for outdoor and indoor aerial construction and maintenance projects. It is actually able to support 2 to 4 individuals and we've got scissor lifts for rough and smooth terrain. We've got our well-maintained scissor lifts to make sure that the operation can be clean and quiet. We definitely have various scissor lifts that can be ideal for various environments - narrow width to fit most doorways, elevators, aisles, rough terrain, outdoors use; some might be driven with fully extended height, long battery life to guarantee uninterrupted operation. Our renters also originate from different sectors like building maintenance corporations, construction companies, retail and warehousing corporations, overhead signs, agriculture, manufacturing and processing, transportation, public utilities and more. Aside from offering the best scissor lift rental prices, we can offer accessories as well as attachments for rent to complete the job. A scissor lift can cost anywhere from $12,000 to tens of thousands of dollars if you were to purchase it outright. As for a scissor left rental, it will only cost a few hundred dollars. Not to mention the no string attached flexibility: no storage, liability, insurance or long-term maintenance expense to worry about. Premier Systems, Inc. is the primary RT and electric scissor lift rental company in Metro Atlanta. Rent equipment, electric scissor lift batteries, attachment, accessories and more all from one place and save huge! Why purchase when you may rent a scissor lift for a fraction of the cost? You can call us at this time and see what may offer you from our fully stocked scissor lift rental fleet. Premier Systems, Inc. boasts the most extensive boom lift fleet in Atlanta Metro area. Since the year 1980, we've got been offering services to Dekalb, Fulton, Oconee, Clarke, Rockdale, Henry, and Gwinnett counties and surrounding locations. Aside from boom lift rentals, we also offer safety trainings in accordance to OSHA regulations and ANSI standards. With the assistance of our safety trainings, your aerial platform operators can be knowledgeable about the safety protocols for Aerial Work Platform (AWP) and Powered Industrial Truck (PIT). Boom lifts are practically built to carry a worker or more with their tools and materials off the ground. There are two types of boom lifts - straight boom lifts and knuckle boom lifts. Straight boom lifts are regarded as as telescopic boom lifts and features one single hinged expandable arm that could stretch over long distances. Straight booms are stable and built to work nicely in open locations. However, knuckle booms, also referred to as articulating boom lifts have segmented arms which are built to deal with obstacles and into tight spaces. Premier Systems feature a number of boom lifts for rent from top manufacturer like JLG Sectors and Genie than can reach up to 135 feet from the ground. You also have options for power sources of your boom lift including diesel, gas, hybrid or electric boom lift rentals. Most boom lift operators work together with powerful machines in harmful heights, so safety is of paramount importance to us. Along with offering proper safety training, we pledge to keep our fleet serviced and well-maintained, so you and your crew might be safe up there while working. Premier Systems isn't only known to offer the best boom lift rental rates in the entire state of Georgia as they also offer parts and service, accessories for articulating and telescopic boom lifts. Our regular renters include utility, firefighters, window cleaners, construction companies, mining corporations, painters, photographers and videographers, and more. Boom lifts are also referred to as cherry pickers, man lifts, basket cranes and more. It won't really matter what you call it because if you would like to rent a boom lift in Atlanta or surrounding locations, you may call us and let us provide the best and the most cost-effective boom lift rentals in Georgia. Premier Systems, Inc. is the one stop solution for all your aerial platform needs. If you are working on places which are a couple of stories above ground, you need a stable platform to help you complete the job. Most of our renters do not really need a manlift everyday so it would make sense for them to rent from us. Renting is more inexpensive than buying. It is really cost efficient in the long term for the corporations since you will not have to pay insurance, other liabilities, maintenance, parts, servicing etc. Actually, even the storage for this equipment will cost you a fortune. Our manlift rental fleet boasts the most well-known manlift or personnel lifts from industry primary JLG Sectors and Genie brands that can reach as high as 40 feet. There are a lot of lifts that can help lift the workers and their tools off the ground. One example is that boom lifts may also accomplish this, but they're too heavy and wide to obtain into tight spaces. However, scissor lifts can just go straight up from the base. For work sites that require a versatile, yet light and far reaching capability, personnel lifts, also referred to as manlifts are ideal. Manlifts are quite identical with boom lifts because of the articulating and telescoping arms. Manlifts are lighter, typically needs to be pushed around as they're not motorized self-driving units. If you would like to reach vertically and you don't need power or heavy lifting capability, you may opt for a manlift rental as they are more inexpensive. You can also claim that manlifts are applicable indoors. Lighter weight of these personnel lifts is easy on the floor: perfect for changing light bulbs, painting tall walls or ceilings, repair cable or electric wirings, plumbing even some roofing work may use a little help from our inexpensive manlift rentals. However, any aerial lift or platform may have the potential of tipping, falling and causing damage so safety will invariably be our priority. Along with renting manlifts at an inexpensive rate, we provide safety trainings to guarantee OSHA and ANSI compliance. We also provide parts and services for most aerial systems, our fleets are well-kept and serviced frequently to guarantee peak operating performance no matter who, where or when our rental units are being used. If you are thinking of renting a personnel or manlift in Atlanta, Conyers, Duluth, Jonesboro, Lawrenceville, Norcross, Stone Mountain, Athens, Greensboro, McDonough or the vicinity, we're going to help you with your questions.